Gone with the old and in with the new. 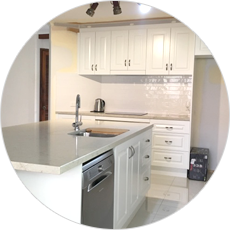 The client was ready to update this older kitchen and create a fresh new look that would suit the home. 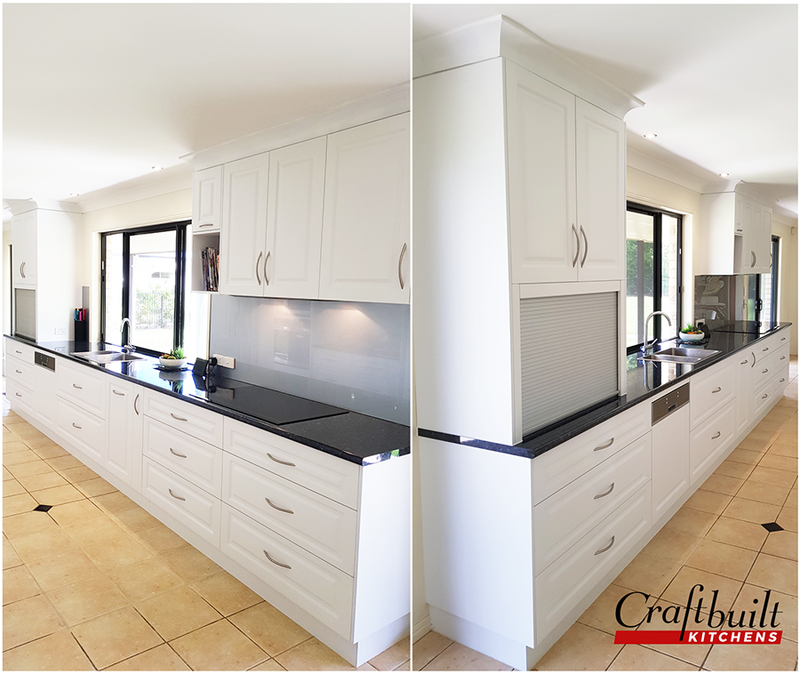 Situated in a large area and needing a lift, Craftbuilt Kitchens designers opened it up by removing the breakfast bar and added fresh clean white profiled doors for character and texture. This was the old kitchen before our professional Craftbuilt designers turned it into a gorgeous white kitchen. You can see the difference. 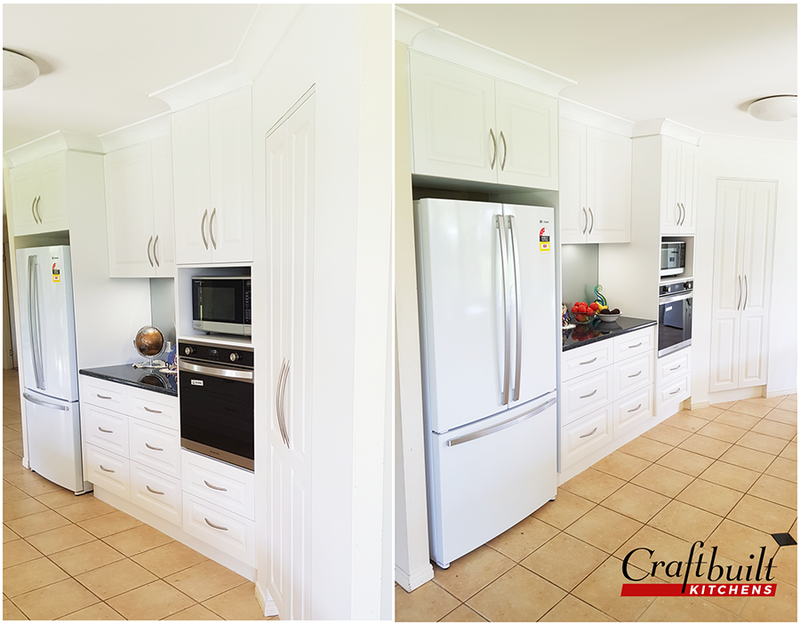 The client moved from ochre cabinets to a fresher white theme. 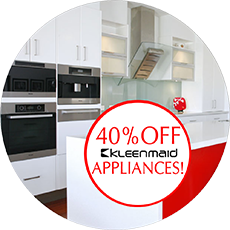 The client has chosen to upgrade her kitchen appliances with a Kleenmaid induction cooktop, undermount rangehood, oven and a dishwasher. 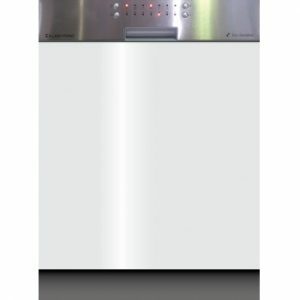 The addition of a large appliance cabinet with a feature aluminium door was installed to hide all the everyday appliances. Following a much more efficient work triangle, the cooktop was moved to be nearer to the sink. 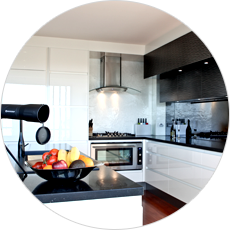 The old position meant crossing the walkway from the cooktop to the sink which has safety concerns. The new position created a much better flow between cooking and preparation. 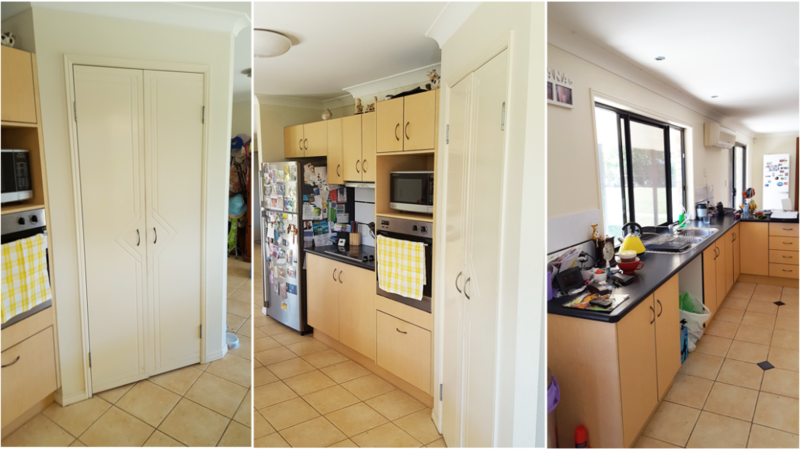 Maximising cabinet space, the pantry cabinetry was custom-built into the existing pantry, pull-out internal drawers inside to utilise the space efficiently. 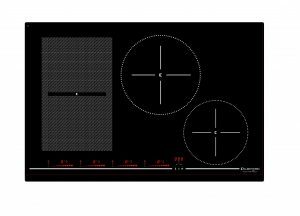 Taking into consideration the client’s personal needs, the oven and microwave were lowered to cater to the client’s need for the kitchen appliances to be at arm’s length and reach – a major benefit when designing custom built kitchens. When it comes to lighting, LED downlights were installed under the overheads. 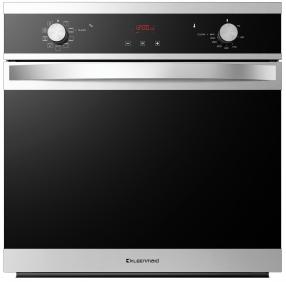 Its placement picks up the sparkle in the beautiful grey glass splashbacks. Because of the considerable space that was maximised, the clients are planning to add more cabinetry to the side so one area flows into the other. Another Craftbuilt Dream Kitchen achieved! If you’re looking to accomplish your own dream kitchen project, our designers at 76 Old Cleveland Road, Stones Corner are happy to help you. 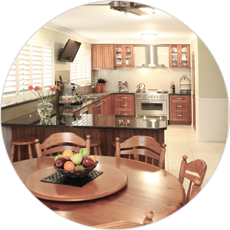 You can also call us at (07) 3341 9172 to set an appointment.